The GCRS archive material is stored at the museum. The material is accessible to visitors when a GCRS member is in attendance. The museum is situated on the corner of Pelham Road and Washdyke Lane in premises that were once part of the theatre at the Civic Centre. See map. 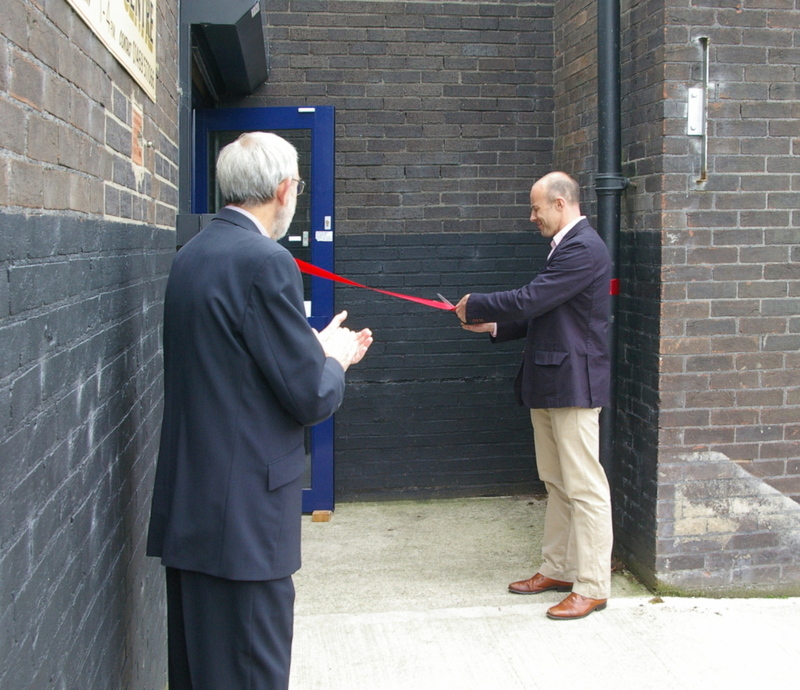 The official opening of the museum in its new location took place on Monday 24th June 2013. See link to story below. The museum is managed by a trust and run entirely by volunteers. The honorary curator is John Trevitt. The museum opening times are Tuesday, Wednesday, Friday and Saturday from 1pm to 4pm. Admission is free. The museum will be closed from 15 December 2018 to 20 February 2019. 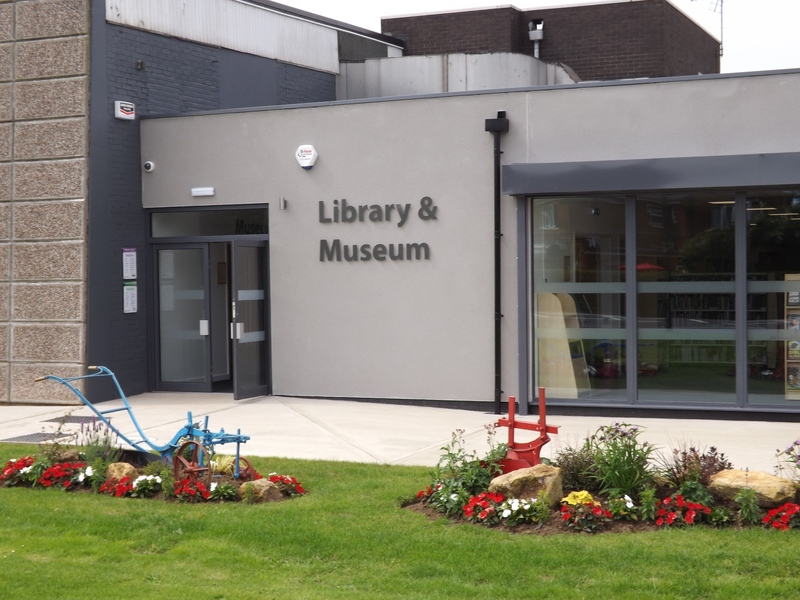 You will find displays related to the history of Immingham which includes the role of the Great Central Railway and the Immingham Dock. 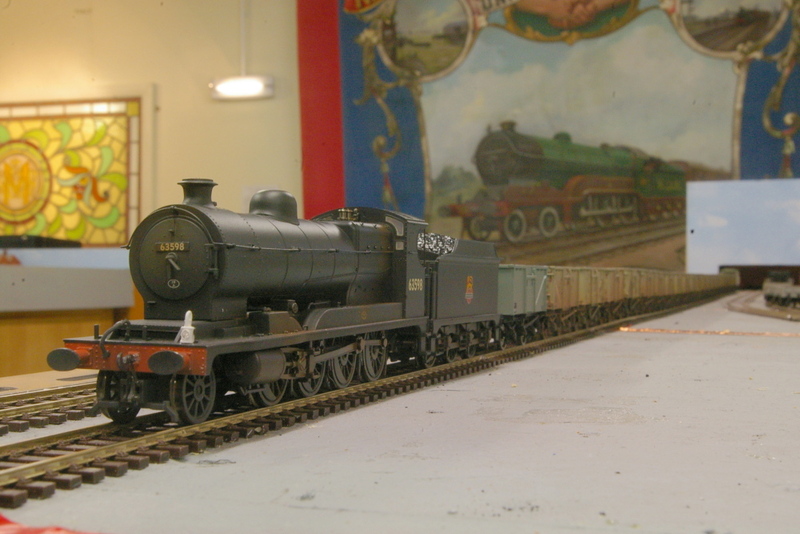 A project in progress is the construction of a model railway in 00 gauge of the engine shed at Immingham - 'The Cathedral of Steam'. For further information about the museum or if you are interested in helping in some way, e-mail 'imm.museum@gmail.com' or call 01469 577066. The museum also has its own website at www.imminghammuseum.org. Photos of the official opening on 24th June 2013. Left: Gary Williams cuts the tape (with left handed scissors?) outside the museum entrance watched by Roger Whyman, chairman of the museum trustees. 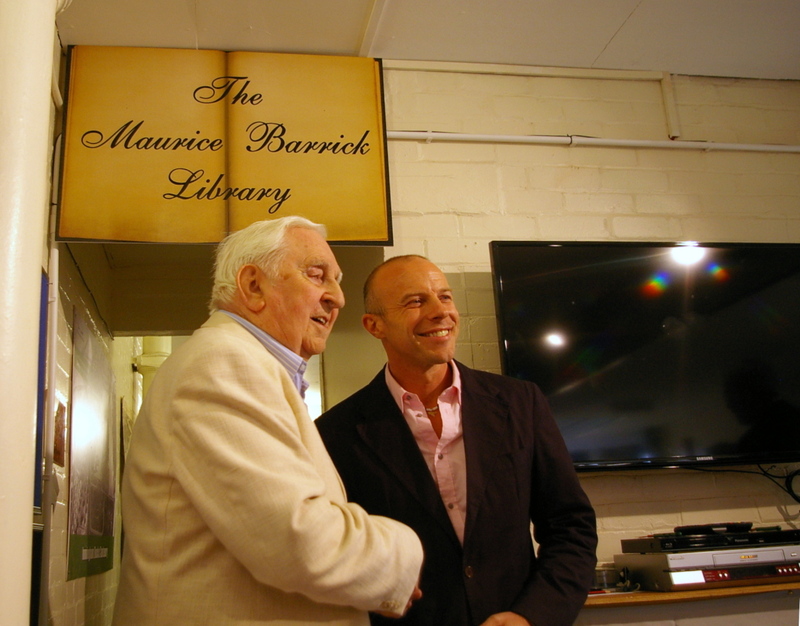 Right: Maurice Barrick with Gary Williams outside the entrance to the museum's library, named the 'Maurice Barrick Library' in recognition of his contribution to local history studies. 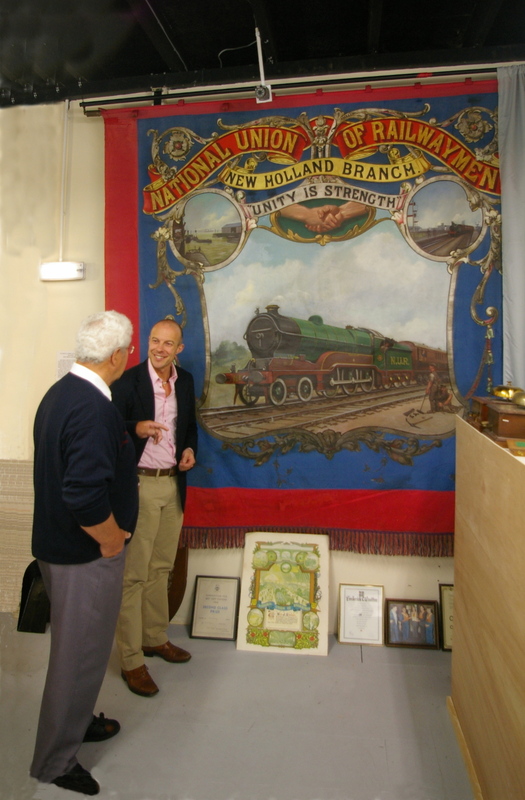 Left: Former GCRS chairman Mike Hartley explains to Gary Williams how the New Holland NUR banner came into the museum collection. suitably weathered empties destined for Immingham Dock on the museum's unfinished model railway layout.